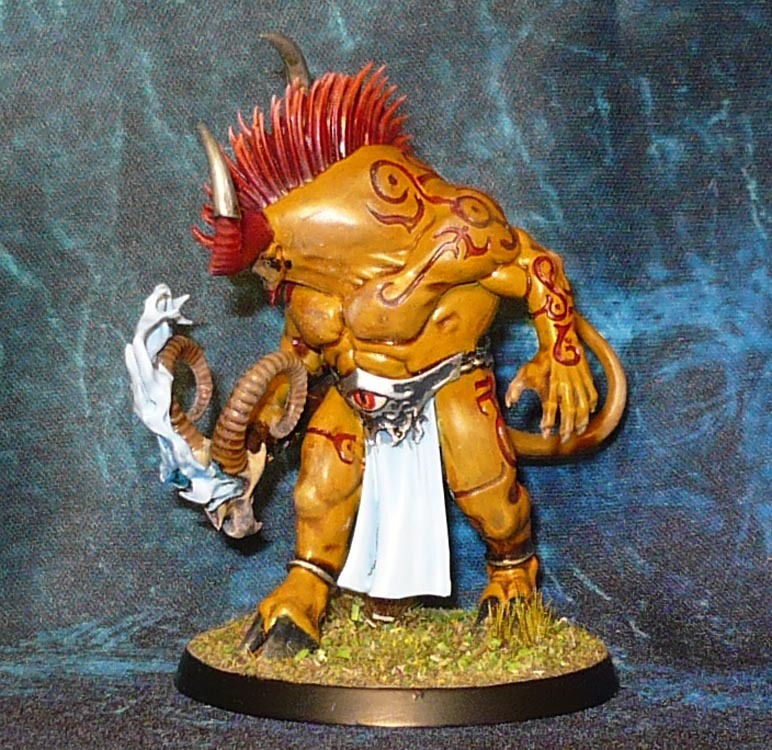 The Ogroid Thaumaturge! 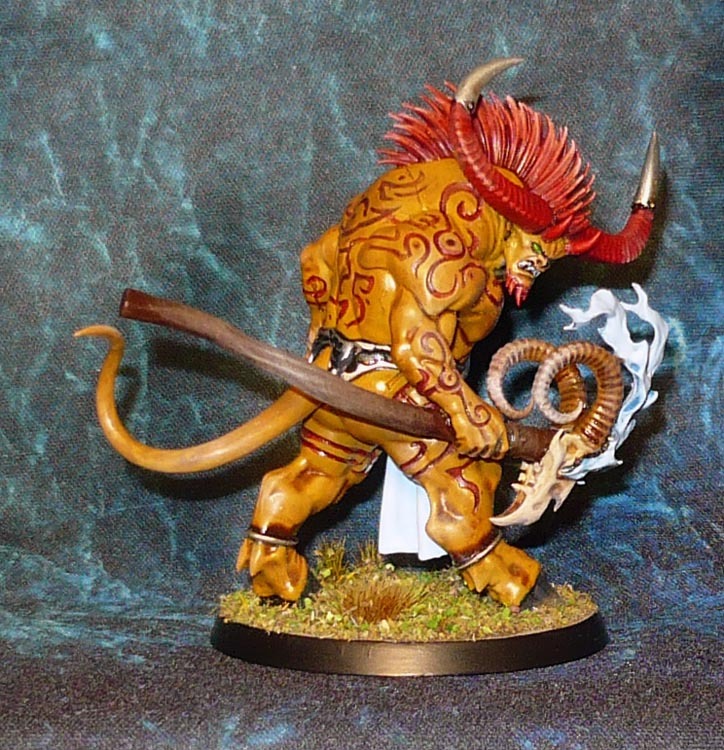 ’cause GW can’t own the more classic Ogre Mage. After a harrying time fighting through the streets beating up all the little girls and beefy men around the Silver Tower, Blanka finally found his way in and entered the service of the Gaunt Summoner. Here his innate ability to give electric shocks was enhanced to include many other magical attacks and he was blessed with horns, hooves and a ram rod.